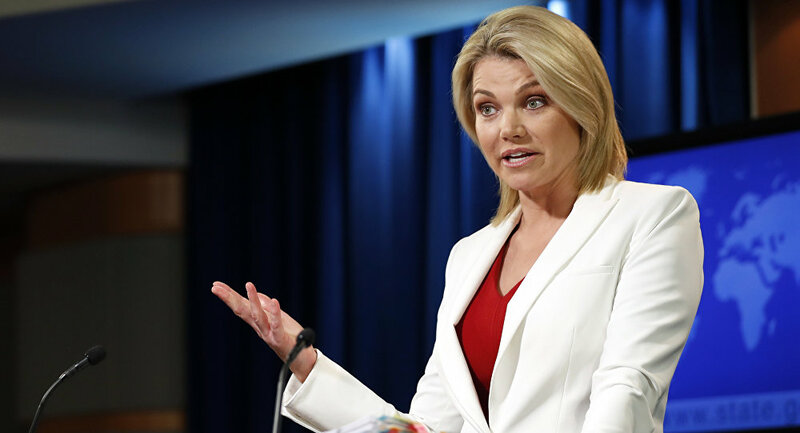 US President Donald Trump has decided to pick State Department spokeswoman Heather Nauert to be the US Envoy to the United Nations, Bloomberg reported Thursday. The White House views the former Fox News host as a capable advocate for the Trump administration’s foreign policy, who could replace outgoing UN Ambassador Nikki Haley, media report said. Nauert also currently serves as the acting Under Secretary for Public Diplomacy and Public Affairs at the State Department. On October 9, Trump announced Haley had submitted her resignation and planned to leave the administration at the end of the year. Haley, former governor of the US state of South Carolina, said she did not know what she would do next, but clarified that she would campaign for Trump ahead of the 2020 presidential election. In October, Fox News reported, citing two sources familiar with the selection process, that Trump was considering US Envoy to France and Monaco Jamie McCourt for the post of the US ambassador to the United Nations. McCourt as well as several other officials are potential candidates for the position, but US State Department Spokesperson Heather Nauert remains a "leading contender" to become the ambassador to the United Nations, sources have told the US-based media outlet. Last month, Trump said State Department spokesperson Heather Nauert was under "very serious consideration" for the position. In 2017, Veteran Fox News correspondent and anchor Heather Nauert was named as the Trump administration’s new lead foreign policy spokesperson. Among other roles at Fox, Nauert reported on the morning news show "Fox and Friends." She was previously a network correspondent for ABC News.